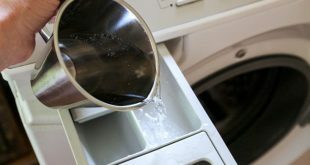 If you tried all sort of solutions to clean your faucets of hard water stains, and the results won’t satisfy you, then you should definitely try the next genius trick. You will remove hard water stains without rubbing and without inhaling dangerous substances from various chemicals. 1. Soak a clean cotton cloth in vinegar. 2. 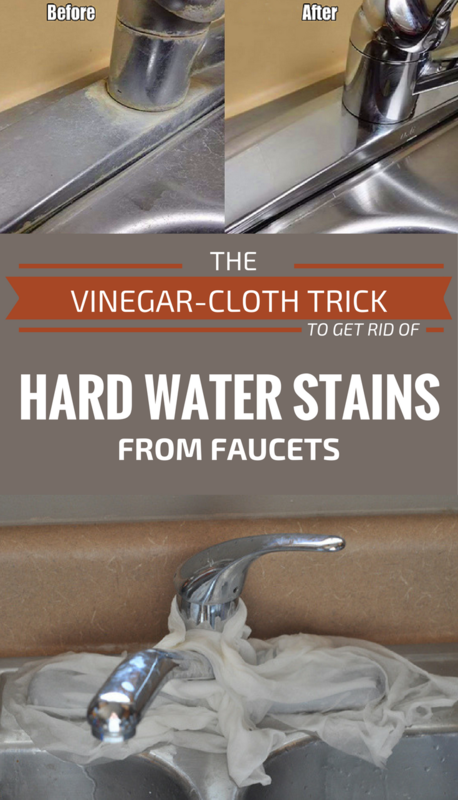 Cover the faucets with this vinegar cloth. Be careful to cover all traces of limescale and soap. 3. After 30-40 minutes rub gently with the green side of a sponge. Voila! The taps will be shiny as a new, with zero costs, effortless, and without damaging your health.